Get ‘Kickin’ & Screamin” For Only $2.99 On Amazon.com! CLICK HERE TO PURCHASE KICKIN’ & SCREAMIN’ FOR ONLY $2.99! 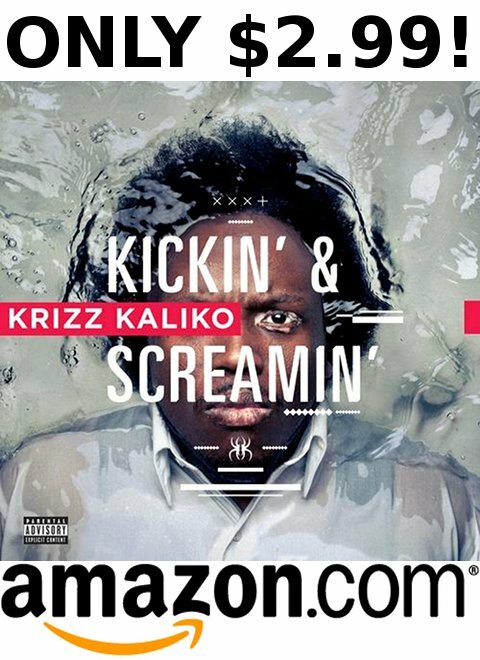 In case you were under a rock for the last six months and haven’t got what fans are calling Krizz Kaliko’s best album of all time, head on over to Amazon.com and get Kickin’ & Screamin’ for only $2.99! As part of this week’s $2.99 MP3 album week on Amazon.com, Kickin’ & Screamin’ and Tech N9ne’s All 6’s and 7’s will be available for this very low price for a limited time only. Make sure if your friends haven’t copped either one of these gems that you direct them to Amazon.com right away! What’s a couple dollars? Go now!